Thank you so much for your warm appreciation & sincere comments. If I may not be able to reply to your email or my chat widget here on my website. I may just be bombarded with emails & messages or it just filtered to SPAM. Kindly send it again and please don’t forget to indicate your name and email address if you are going to send a message through my chat widget so I can try to reply to you as soon as possible. It will be much better if you could fill in the form so I can contact you. 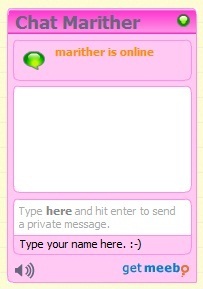 Please don’t forget to indicate your name by clicking on the “edit nickname:“, then type your name before sending a message. Please don’t forget to send your email as well. The image below will show you where to type your name. Thank you. Your message is valuable to me.